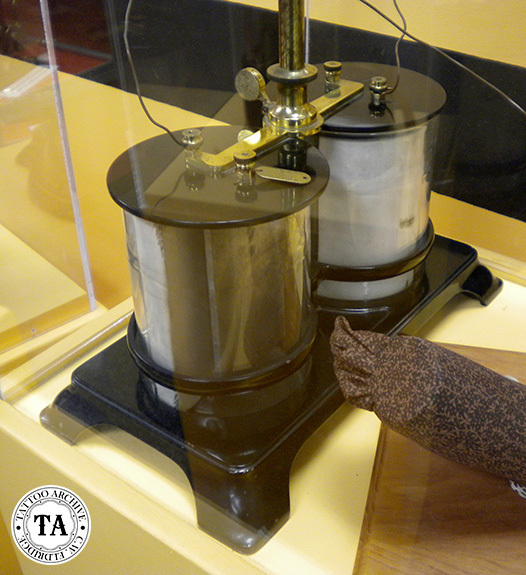 Alessandro Volta, an Italian physicist born in Como, Italy in 1745, is credited with the invention of the battery in 1800. As with any invention of this magnitude, Volta was inspired by and took ideas from many other people. 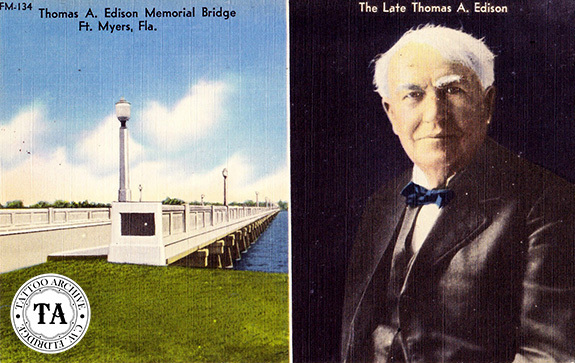 Volta gave recognition to many of those folks through the years but history still give Volta the honors for the invention. Batteries powered all early tattoo machines and the electrical grid, as we know it today, did not exist. 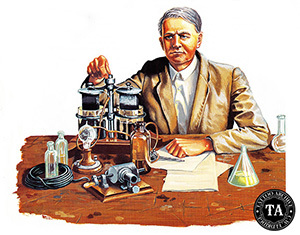 Thomas Edison is often thought of as the father of the electrical tattooing machine. Edison’s stencil pen invention, for which he received a patent in 1876, was not built for tattooing. The story goes Samuel O’Reilly, an Irish tattooist saw the Edison machine and realized that it could be modified and used for tattooing. 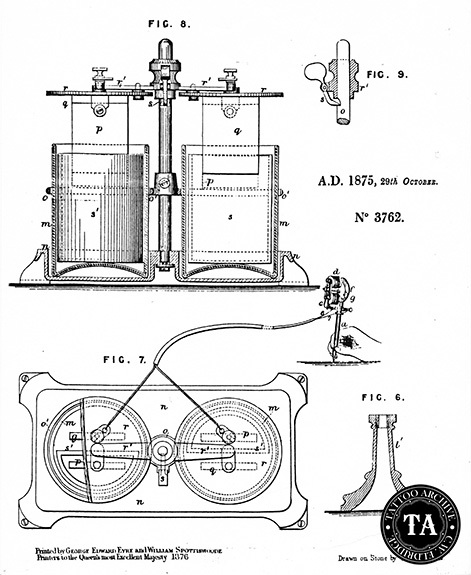 Although there were other tattooist experimenting with other electrical devices for tattooing O’Reilly received the first patent for his invention in 1891. Thomas Edison’s stencil pen was an office supply device that simplified the process of making several copies of a business letter. Remember this was before copy machines, typewriters or any other device for that purpose. Edison’s device was a hit, but by the end of the 1800s the first typewriter came on the market and Edison’s invention was relegated to history. It is unknown how Edison felt about his stencil pen’s new life but even O’Reilly’s patent for a tattooing device was short lived. Today only one of O’Reilly’s machines is known to exist. The batteries that powered these machines were called “wet cells” batteries. They were constructed using two electrodes; one made of zinc and one of copper. These plates were submerged in sulfuric acid and the chemical reaction produced electricity. All of this was enclosed in a glass jar with cords coming out that would be connected to the electric device. Early in the “industrial revolution” wet cell batteries were used for many electrical devices including radios, doorbells and the like. These cells did have some disadvantages; the sulfuric acid was unsafe to handle and the batteries didn’t hold the charge for very long. As you can imagine these wet cell batteries were soon eclipsed by technology and dry cell and gel cell batteries replaced them, although today many automobile batteries are still wet cell type. Tattooists have always been drawn to battery power even after the electrical grid was well established. Thanks to George Westinghouse, our electrical grid is AC powered. AC stands for alternating current, which means that the flow of the electric charge periodically reverses direction. Batteries produce DC power. DC stands for direct current, which means that the electrical charge flows in one direction only. Tattoo machines and many other low voltage devices perform better using DC power. Some power supplies today are a simple converter that changes AC to DC power. Back in the day, circus and carnival tattooists used batteries for their machines even when they had access to the power grid, feeling that their machines ran smoother off the batteries. Often a tattooist would set-up on the ground floor of an apartment building and the tattooist would experience a drop in power on his machine if the folks upstairs turned on a toaster, hair dryer or some other device that drew a lot of juice. Sometimes the lights in the shop would dim. Because of this tattooists would often use batteries to run their machines.